It may have scored small victories over rival Flipkart in the past few months but in order to be a clear winner in the Indian market, Amazon will have to put up a good show of fireworks this Diwali. And by its own admission, the Indian arm of the world's largest ecommerce company has been "readying for it" for the past six months. As part of the preparations, Amazon India has set up 'Seller Cafes' in 24 cities and towns across the country. Seller CafÃ© is essentially the new on-ground seller support channel set by the company for sellers and will be operational from October 1. "Sellers will be able to walk into these cafes, set up their Amazon seller accounts and receive basic guidance from trained resources for navigating their accounts and getting their queries resolved," a company spokesperson told Techcircle.in. The idea behind the effort is to help and train sellers in getting themselves accustomed to the way in which the marketplace works. Sellers are the backbone of any ecommerce platform. It is not surprising, therefore, that Amazon has tripled its seller base just ahead of the biggest annual sales season in the country. "We anticipate an extraordinary season (this year). We have 200% more sellers, thrice the selection and we have 1.5X more fulfillment capacity," the spokesperson said. The company claims it has now 120,000 small and medium sellers from across the country selling on its platform. "Amazon.in continues to be India's largest store with over 80 million products, having added over 150,000 products a day since January this year," the spokesperson added. In order to tap offline customers with no internet access, Amazon has also expanded the number of Udaan, or its offline centres, across 100 cities and towns in 14 states against only three states last Diwali. "These with enable new customers in semi-urban and rural communities who lack access to the Internet, to experience the joy of shopping for deals and offers on Amazon.in this festive season," the spokesperson said. The company headed by Amit Agarwal in India is also increasing its fulfilment capacity. It has now 24 fully operational fulfilment centres across the country. "We have the largest fulfilment infrastructure and storage capacity to cater to the storage needs of our ever growing seller base to ensure fast and reliable delivery to customers across India," the company said. Besides, it is also running the campaign offering guaranteed fast delivery services to customers on the same day, the next day, Sunday and mornings. "Last year, the demand for these premium delivery services shot up by 3X during the festival period. We are witnessing the same trend this year too," the company said. In terms of GDP, International Monetary Fund ranked India 9th at $2 trillion while US and China, at $17.4 trillion and $10.4 trillion, respectively, are the largest economies. Besides the size of the markets and their potential to grow, another factor that will dictate the changes in the ecommerce industry is the strategies of individual players. Ecommerce players of all hues and sizes will try punching above their weights in order to eke out a larger share of consumer spends this Diwali but for the largest two players Flipkart and Amazon, this festive season is exceptionally crucial. Amazon scored a lead over Flipkart in terms of sales in July and August. According to a report by Mint newspaper, Amazon India closed its sales a tad higher than Flipkart's Rs 2100 crore in August. The numbers, however, do not include the sales of Myntra and Jabong, the fashion portals owned by Flipkart. Amazon also claimed to have surpassed Flipkart as the most downloaded mobile app on Google and Apple stores in the first quarter of this year. 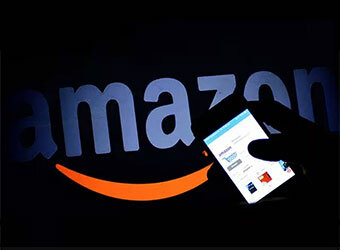 Moreover, a report from technology and market research firm Forrester's Consumer Technographics Asia Pacific Online Benchmark Survey for 2016 said that Amazon had, for the first time since 2014, beaten Flipkart as the preferred online retail destination for consumers' in metropolitan areas. Given the frantic initiatives announced by Amazon, it is expected that Flipkart, too, will unleash a series of initiatives to push its sales this festive season. Speaking of plans for its Big Billion Day, the flagship annual sale held around Diwali, a spokesperson for Flipkart said: "Flipkart will offer deals which customers have not experienced before. Our deals will be better than any online or offline retailer in the country."